Jewel has lived her whole life in her brother’s shadow. Her brother John, known by everyone as Bird, died on the day Jewel was born. At 12 years old, Jewel has only known life as part of a family shattered by grief, anger and unforgiveness. Jewel’s grandfather hasn’t spoken since Bird died and her parents seem to exist in an uneasy truce with each other and themselves. Into this fragile situation comes John, a young boy Jewel meets when she is escaping temporarily from the tension at home on her birthday, which is also the anniversary of Bird’s death. With John, Jewel finally feels a sense of connection and acceptance. She can be herself and believes that John values their friendship as she does. When Jewel discovers that John hasn’t been honest with her, will she be able to return to the half-life at home, or has this glimpse of affection and purpose made it impossible for her to continue accept the shadows that haunt her family? This thought-provoking debut novel from US author Crystal Chan is a well-written examination of family, identity, superstition and the long shadows cast by unresolved anger, guilt and grief. It is a story about the need to find your voice and the impact of remaining silent and for me, it was mostly a story about our need to connect – with others, with our heritage and with our own identity and emotions. It is mentioned early in the story that Jewel comes from a mixed heritage; she is half Jamaican, a quarter Mexican and a quarter white. From early references and the setting in a small country town in Iowa, I had expected Jewel’s mixed racial heritage to be more of an issue, but the focus is almost totally on the superstitions of her Jamaican father and grandfather with a side reference to her mother’s Catholic faith and mentions of the foods of both the Jamaican and Mexican cultures. After a dramatic start with the story of Bird’s death and Jewel’s initial conversation with John the story develops slowly. I found my attention was really hooked when Jewel and John’s friendship became more complex and they were forced to become more honest with each other. This coincided with an increase in tension in Jewel’s family and the story then moved rapidly through to a dramatic conclusion. Once this narrative tension started to build, I found it difficult to put the book down. 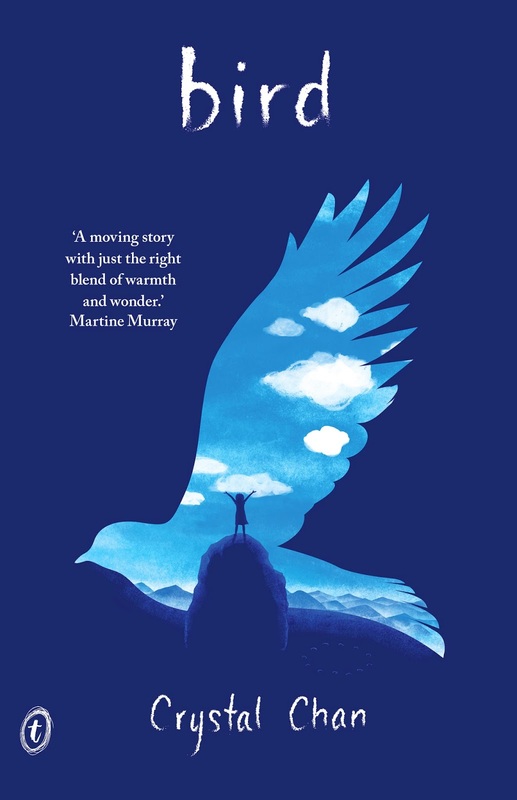 Bird is a novel with many different layers and angles to consider and unpack. It is certainly a book most likely to be appreciated by readers who are looking for complex characters and a storyline that requires thoughtful reflection. You can read an extract of the story here and there are also teaching notes available. You can listen to Crystal Chan talk about Bird here. 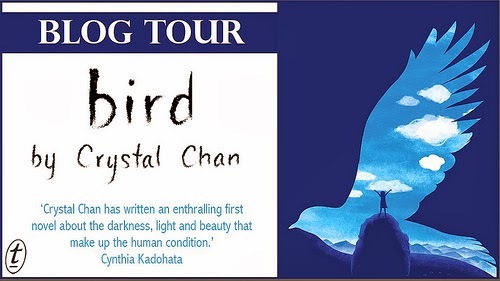 This review is part of Crystal Chan’s Bird blog tour. You can find out more about Crystal and Bird at the links below.